BRITAIN saw the hottest November day since records began 105 years ago this Sunday (Nov 1), with a west Wales town recording the highest temperature in the country. The Met Office had forecast weekend sunny spells with Saturday seeing up to 20C, and Sunday possibly “record breaking” as it verged on beating November’s all-time 21.7C temperature record. 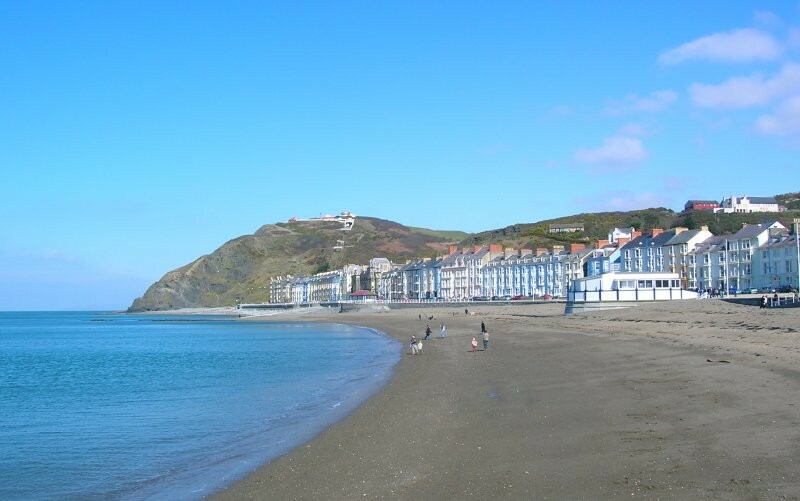 They were proved right, with temperatures in Aberystwyth today topping 22.3C. The previous record was set on November 4, 1946, in Prestatyn, Denbighshire, north Wales. Records started in 1910. Britain was hotter today than 17.0C Corfu, Greece. Last year was also a record breaker. We saw the hottest Halloween ever recorded, as October 31 saw 23.6C at Kew Gardens, London, and Gravesend, Kent. 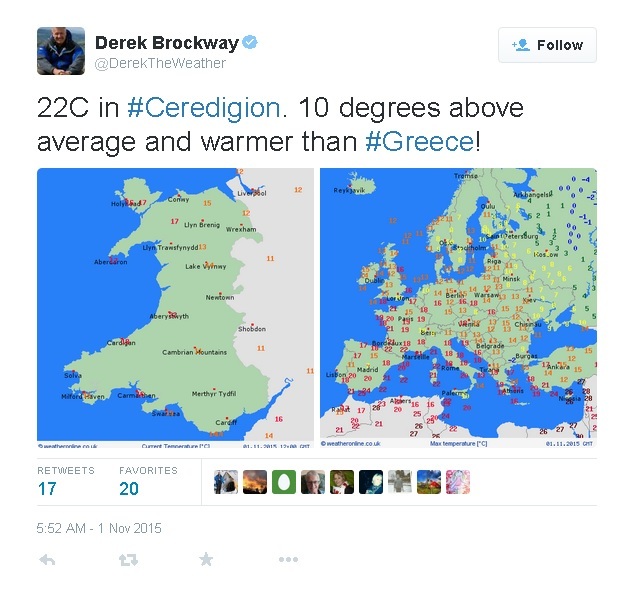 BBC Wales Weatherman Derek Brockway could barely conceal his excitement, tweeting the statistics today from his @DerekTheWeather account.